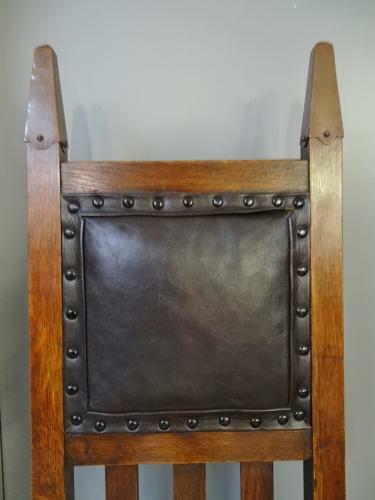 Superb & stylish Arts & Crafts/Glasgow Style oak framed chair with unusual copper capped elongated finials. By Wylie & Lochhead of Glasgow; c1900. Approx 47.5" high, 21" overall depth, 19" overall width; height to top of seat 21"